How to organize an effective freight tender? Companies must rely on goods shipments showing an adequate service level and a right cost. It is therefore fundamental to select the best provider for the goods shipment activity. A good tariff comparison is not enough: the provider selection must take into acccount other factors, starting from the identification of the desired objectives to achieve. • Types of available insurance. This applies not only to outbound transport, as well as to inbound ones, when these are on the purchaser’s shoulders. Without adequate industry-specific knowledge, and a meticulous and critical study of choice, create an effective freight tender is often difficult. It is therefore necessary to implement a consolidated approach to obtain concrete results. 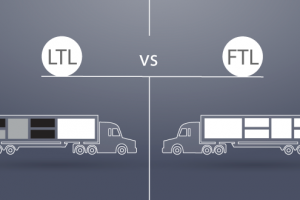 How to perform a successful freight tender and choose the “right” transport provider? Answer some questions about your company and find out about our services.